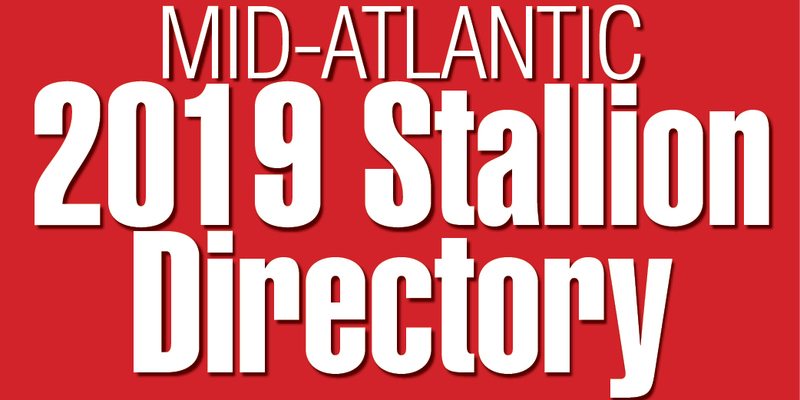 The first bi-monthly issue of Mid-Atlantic Thoroughbred made its debut, and future Hall of Fame trainer King T. Leatherbury appeared on the cover as he approached the 5,000-win milestone. Pennsylvania resident Victoria Calantoni was voted TOBA Owner of the Month for March after her 6-year-old Sir Beaufort captured the Santa Anita Handicap-G1. 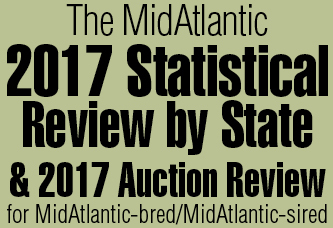 Purchased as a weanling for $7,000 at the Fasig-Tipton Midlantic December mixed sale from breeder Buckland Farm, Sir Beaufort was raised on Calantoni’s farm in Grantville. When the Virginia-bred colt showed promise at 2, his owner contacted California trainer Charlie Whittingham, who agreed to take him. “Charlie always felt the horse had potential. But he was tough. If Charlie had had any hair, he used to tell us, he would have pulled it out,” said Calantoni. A 17-hand gray by Pleasant Colony, Sir Beaufort ran his streak of top-two finishes to seven, six in graded stakes, with his Big ’Cap win, which pushed his earnings to $1,112,255. He was the top-ranked runner in the nation as determined by the Thoroughbred Racing Communications. n Danny Fitchett didn’t feel like a hero, but the reaction by Pimlico’s head assistant starter to a bizarre accident during training hours saved the life of exercise rider Clayton Beck, who was being electrified by the starting gate as the horse he was on was killed. “I knocked him off,” said Fitchett matter of factly. “A guy needed help, and I tried to help him.” The accident occurred when an electrical cord was draped over the gate in heavy rain. “He was a silver lining in a very dark cloud,” said Dickie Small, who trained Beck’s ill-fated mount, Fox Brush. n Southwest-based Honor the Hero, one of three stakes winners bred by Edward P. Evans over a three-week period, equaled the world record for 6 furlongs (1:06.80) in winning the Phoenix Gold Cup-G3 at Turf Paradise. Other Evans’ bred stakes winners were Fairy Garden (The Very One) and Oaklawn Park winner Mr. Scrooge (Old Rosebud), the latter campaigned by the breeder.